The one in the town where we do a lot of our shopping has aisles and aisles of great Christmas stuff. I could have spent the entire day there just imagining a million projects. But Mother Nature finally gave us some half decent weather to put some outside lights on the house so we wanted to get home. Yay! 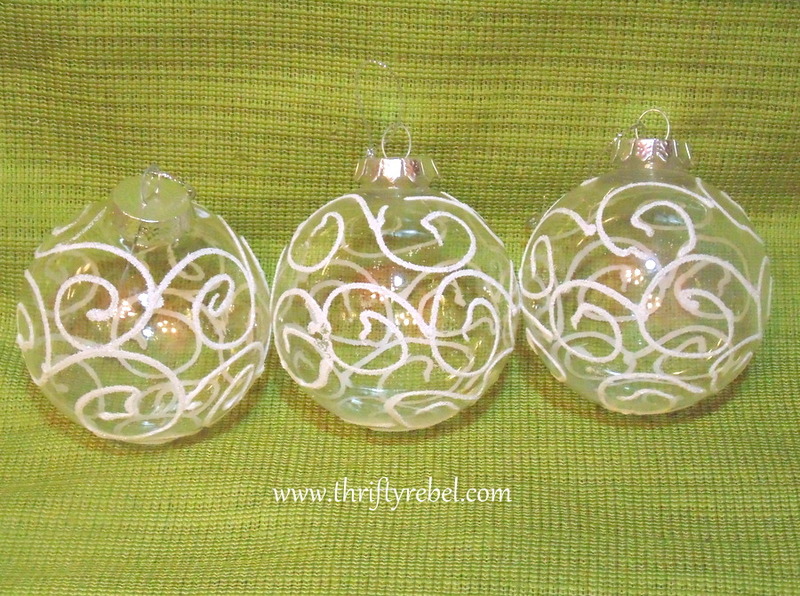 I did grab a few of these clear plastic ornaments with this pretty raised snowy white swirly design. In a house of four cats, where one of them is a mischievous Miss Pixie, plastic is a very good idea. Though I have to admit she does make a pretty cute ornament herself. 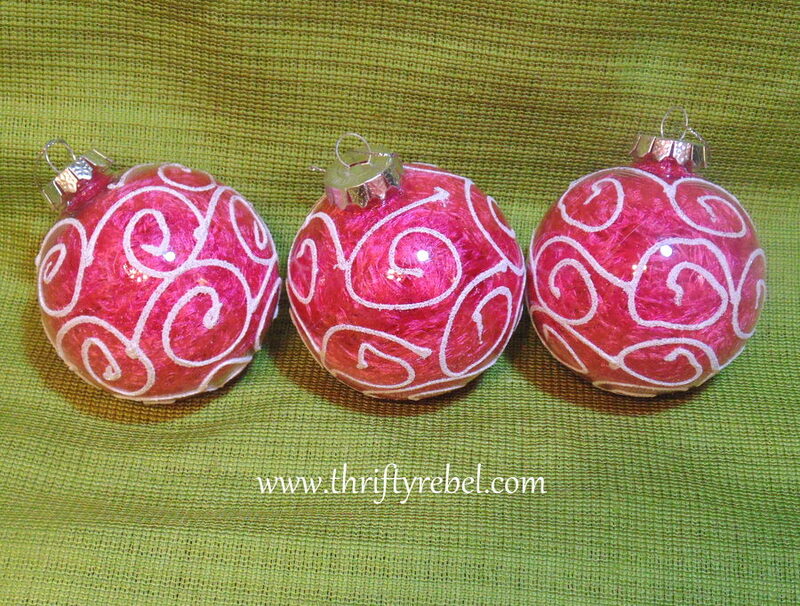 When I saw these I immediately thought of filling them with the hot pink scarf from my stash of crafting scarves.. It is Think Pink Monday after all. 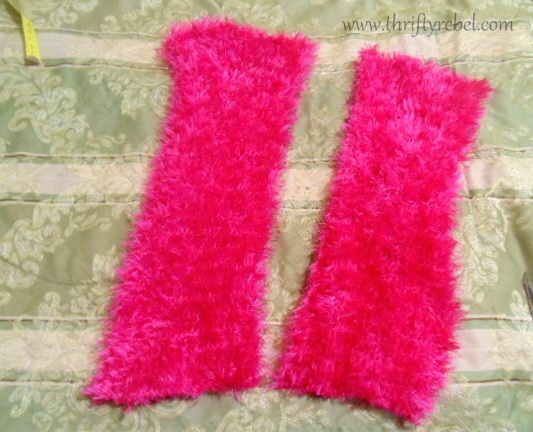 I cut the fluffy knitted hot pink scarf into three pieces about 20″ long each. I usually pick my crafting scarves up at thrift stores for 50 cents or $1. There’s only two here because I stuffed one of the balls before I thought of taking a pic. I got a little ahead of myself. 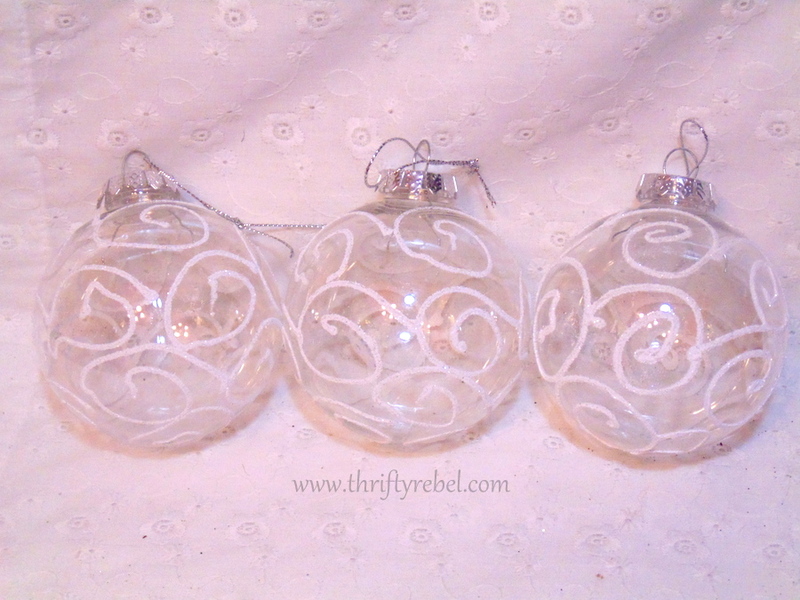 Filling these ornaments is a piece of cake. They have a large 1″ hole for the cap, which is perfect. 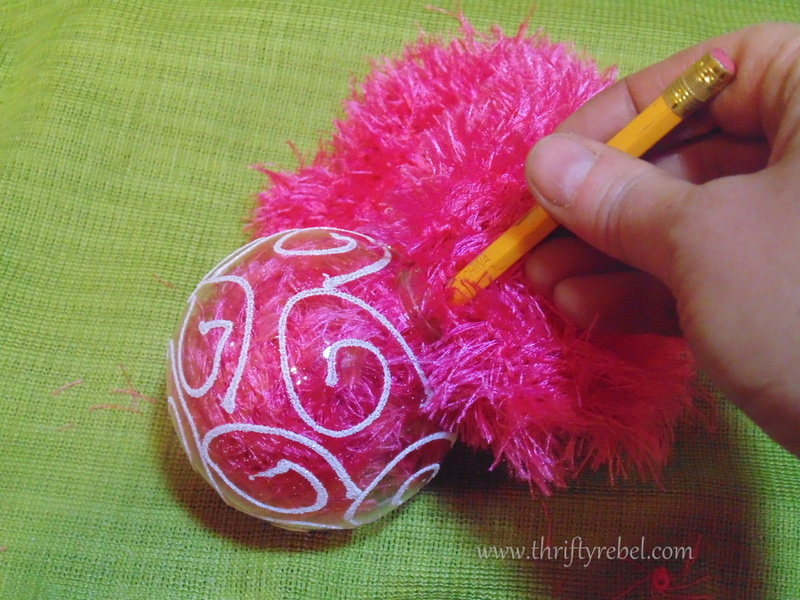 Just remove the cap and start stuffing the scarf in using a pencil. 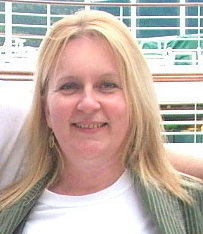 The scarf used has to be one of those loosely knitted super light silky & fluffy scarves. Even when it looks full… just keep on stuffing. and the texture is sooo fun. Any colour scarf would look fabulous in these balls… blue, silver, purple, green, red, gold, black…even white work work if the colour of the pattern on the balls was a different colour. Whatever your Christmas heart and decor desires really, and they can easily be changed from year to year by simply removing the scarves and changing to another colour. 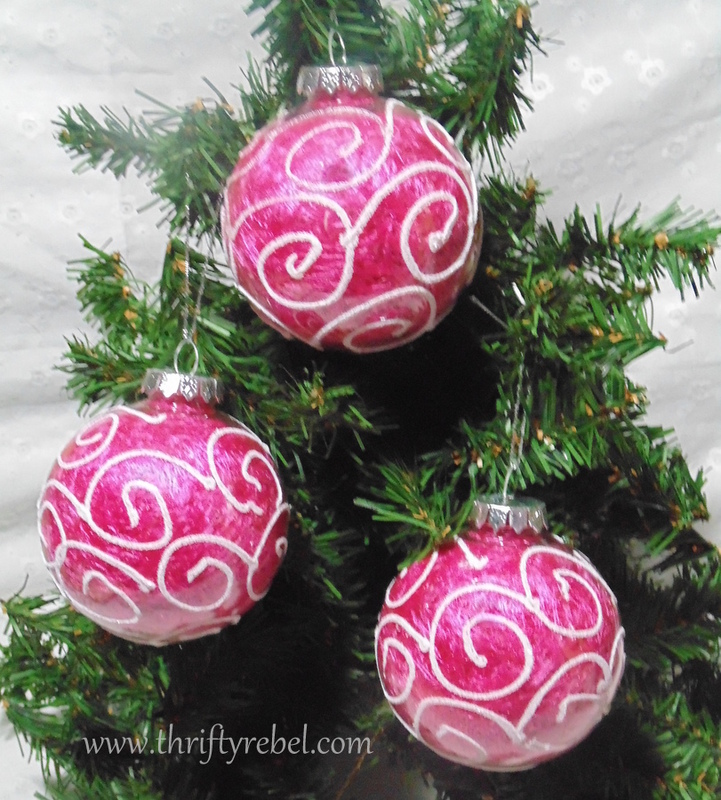 I can’t wait to get my hot pink ones on my master bedroom Christmas tree, which will be making an appearance on a future Think Pink Monday. 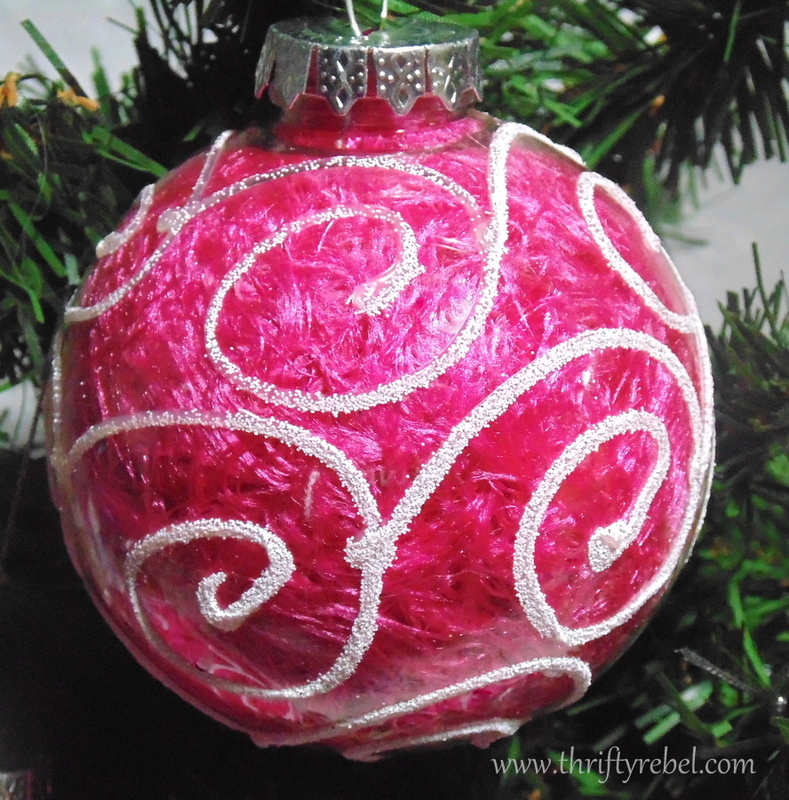 Thanks so much for reading and until next time… Think Pink! 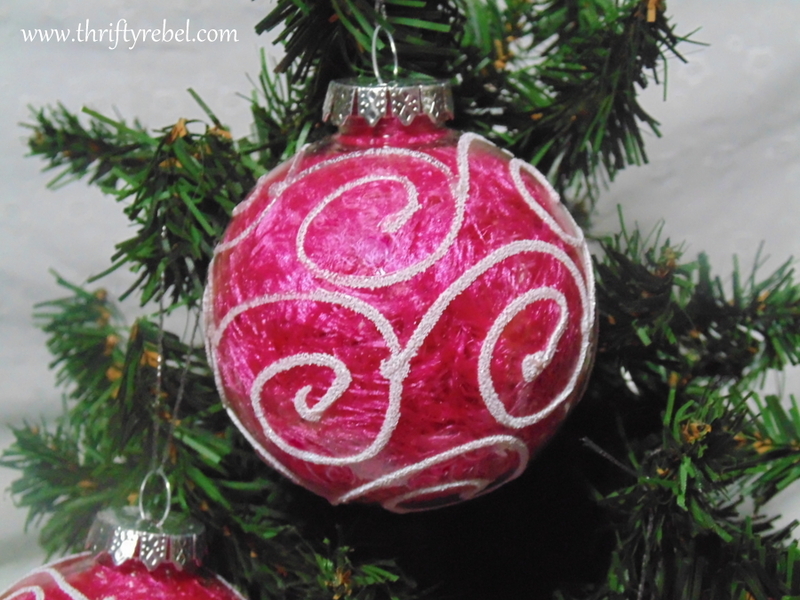 Here are some other scarf Chtristmas projects if you missed them. 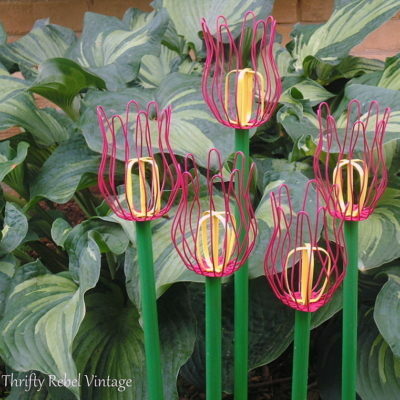 These are really lovely, Tuula! 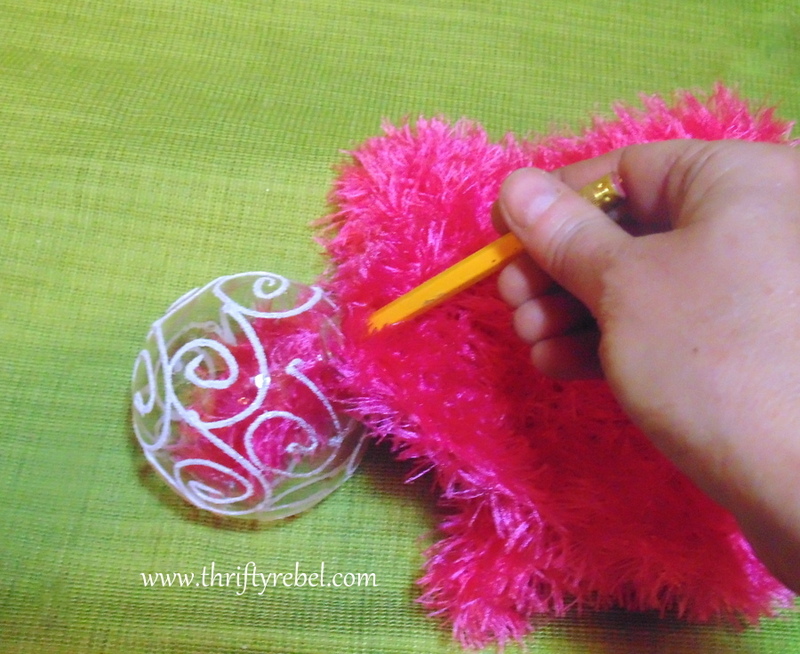 I thought they were handpainted with a beautiful texture before I saw how you stuffed them with that pretty scarf. Very unique looking! So cute and I love the pink! I'm pinning this one and on the hunt for some scarves! So cute! 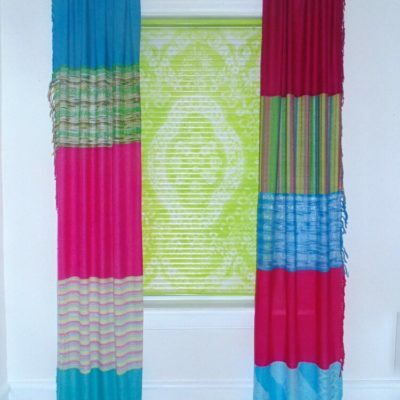 What a great idea to put the pieces of scarf inside, it really makes the white swirls pop! Loving that pink! You really do come up with clever ideas!! 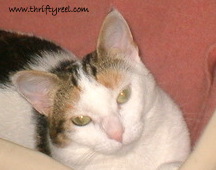 Very pretty Tuula! 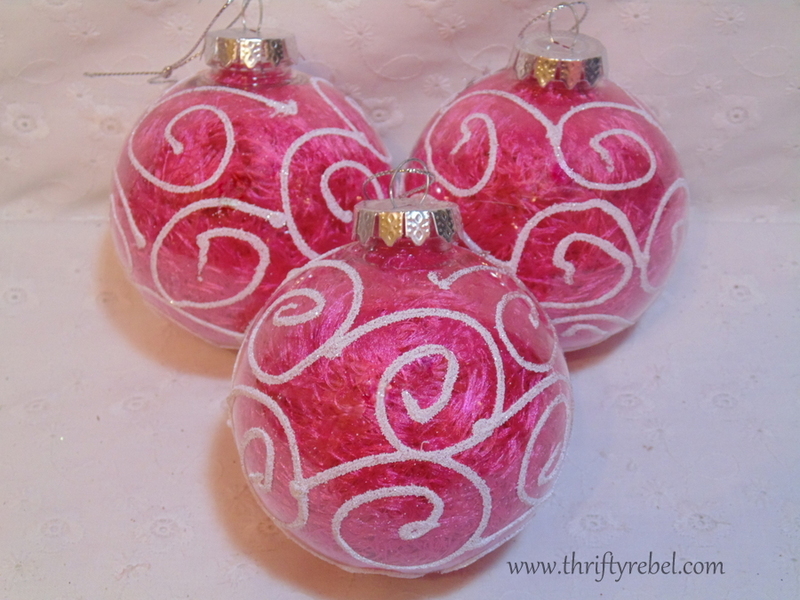 That pink really makes the swirls pop! Very cute! I like all the different textures together. Thanks so much for sharing at the Make it Monday Party! Hope to see you again next week.